Green tea is well known for its fantastic health benefits – its antioxidants help suppress harmful ‘free radical’ cells which can affect the skin and heart particularly. To enhance this delicious green tea Siberian ginseng is added, which is known to boost the immune system, along with subtle natural raspberry flavour. Clipper believes in paying a fair price for their teas, ensuring that workers involved in production receive a fair wage. This hot beverage is natural, fair and delicious. Unsuitable for people with high blood pressure. Ingredients: Green tea, Natural raspberry flavour (5%), Siberian ginseng root (5%). 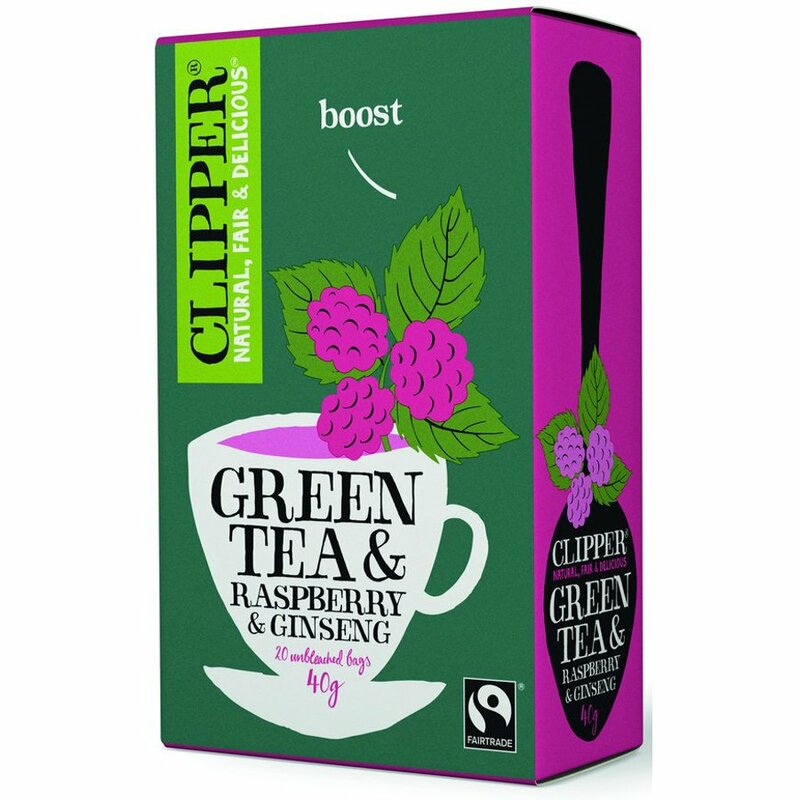 The Clipper Fair Trade Green Tea with Ginseng & Raspberry - 20 Bags product ethics are indicated below. To learn more about these product ethics and to see related products, follow the links below. This is a great tea for anyone who wants to drink more green tea but doesn't usually like the taste very much. The raspberry flavour gives it a real boost and the best thing is it's Fairtrade! I'd recommended it to anyone... except those with high blood pressure of course. 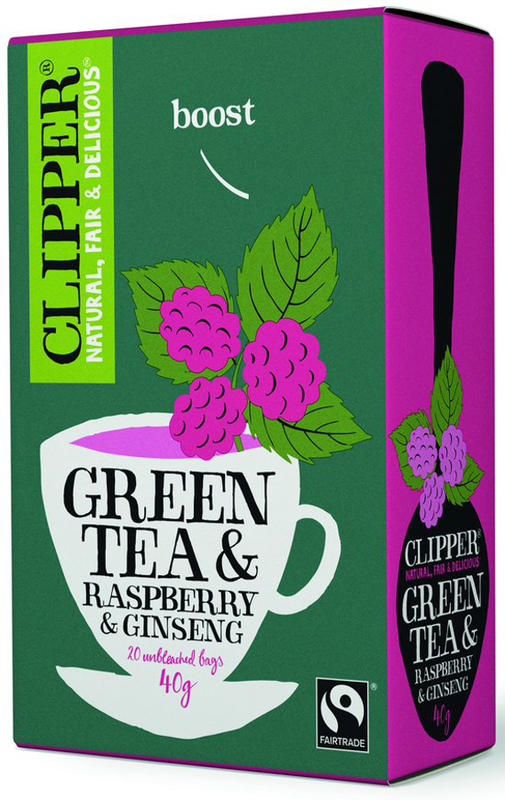 There are currently no questions to display about Clipper Fair Trade Green Tea with Ginseng & Raspberry - 20 Bags.